Science and technology has captured the imagination of the people of India. The success stories of the high tech entrepreneurs have further spurned the interests of Indian Americans who have made a great impact with their contributions to the field of science and technology. We were pleasantly to see so many India born women holding those coveted positions. Out of those one renowned name is Mrs. Vinita Gupta. Vinita Gupta was born in India. She completed her B.E. in Electronics and Communication from the Indian institute of technology, Roorkee in 1973. She came to the United States in 1974 and earned her Master’s degree of science in electrical engineering from the University of California, Los Angeles, and degree in General Management from the University of Santa Clara in 1976. Vinita has also acquired a legendary reputation as a woman entrepreneur in the Silicon Valley and is a role model to many aspiring entrepreneurs. From March 1978 to February 1985, Mrs. Gupta held various engineering management positions at Bell Northern Research Incorporated, (now part of Nortel Networks). Vinita Gupta’s entrepreneurial career has been characterized by risk taking, perseverance, and the ability to dive in and grasp new business disciplines. Mrs. Gupta started Digital Link, a high tech design and manufacturing company in telecommunications in 1985. Under her able leadership, Digital Link grew as a very successful company, which is now known as Quick Eagle Networks Incorporated. She served as the CEO of the company. At present Vinita Gupta is the President, CEO, and COO of Quick Eagle Networks. As the founder and CEO, she has been credited with being the first Indian-origin-woman to take her company public in 1994. Quick Eagle has continued to expand manifold with its office in India too. Her success speaks highly of her shrewd business sense, a thorough understanding of the telecommunication market and remarkable administrative acumen. Vinita has received several prestigious awards and recognition for her leadership in entrepreneurship. The San Francisco Business Times awarded her the Women in Leadership Award in 1998 and the Working Women’s magazine named Quick Eagle Networks Incorporated amongst the Top 500 Women Owned Businesses in the United States in 1998. The Silicon Valley Journal named her amongst the Top Women in Business in 2001. 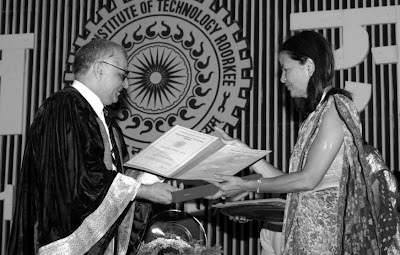 IIT Roorkee honored Mrs. Vinita Gupta with Distinguished Alumnus Award on Fifth Annual Convocation on 21st September, 2005.Vinita Gupta has a legendary reputation as a woman entrepreneur in the Silicon Valley. While active in Silicon Valley business, Mrs. Gupta still makes time to help the causes in her community that are important to her. For instance, Mrs. Gupta is supporting the Asian Pacific Fund as one out of many charities because she values the work, the Fund is doing to help the community and to help others give back. For this noble cause she has been rewarded for philanthropic activities by the Asia Pacific Fund. Her concern for women, especially of South Asian origin, is reflected by her committed involvement as Chief Patron in MAITRI, an organization for the welfare of such women. She holds the Chair of Research Institute of the Palo Alto Medical Foundation, California. She is also a member of the Board of Directors of the Indian School of Business at Hyderabad.business, Mrs. Gupta still makes time to help the causes in her community that are important to her. For instance, Mrs. Gupta is supporting the Asian Pacific Fund as one out of many charities because she values the work, the Fund is doing to help the community and to help others give back. For this noble cause she has been rewarded for philanthropic activities by the Asia Pacific Fund. Her concern for women, especially of South Asian origin, is reflected by her committed involvement as Chief Patron in MAITRI, an organization for the welfare of such women. She holds the Chair of Research Institute of the Palo Alto Medical Foundation, California. She is also a member of the Board of Directors of the Indian School of Business at Hyderabad. Vinita Gupta has brought glory to the name of our country. She has made a distinct position among all the successful Indo-American women entrepreneurs. 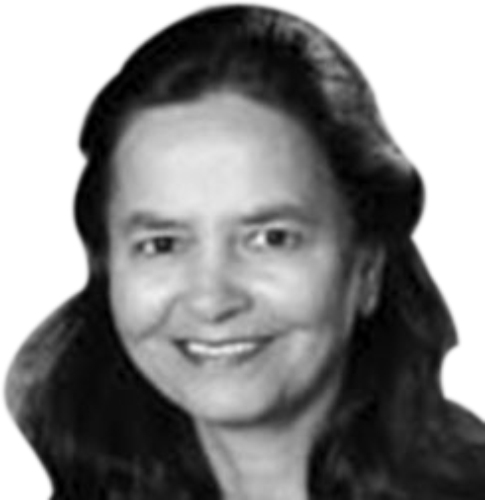 Vinita Gupta holds two US Patents : One for “solid state relay,” issued in 1984, And an other one for the “square root circuit,” issued in 1986. A solid state relay provides for a discontinuous transfer contact function. The solid state relay includes a first field effect transistor (FET) in a first switch, and second and third FETs in a second switch. The first and second FETs are each connected with AC responsive bias circuits for biasing the respective FETs into a non conductive condition. A control circuit operates the first and second switches to provide a transfer contact function. In a switching transition between a supply of a talking battery via the second switch, to a telephone line, to a supply of a ringing battery line via the first switch to the telephone line, the third FET is operated to increase impedance between the talking battery supply and the second FET, to permit AC voltage from the ringing battery supply to bias the second FET OFF. ← It’s Great to be on TIME!